How to deal with creating potable water in the backcountry is about as debatable as purchasing used climbing gear. 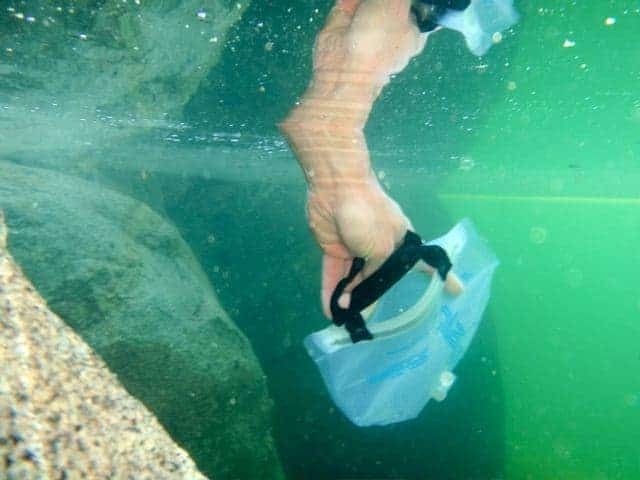 Some will tell you ‘always use a chemical purifier, after filtering through a media with a pore size of no less than 0.2 microns and from a moving water source… yadda, yadda, etc.’ Others can simply be seen dipping their sierra cups into stagnant ponds along the trail whenever they get thirsty. There are many factors that come into play when you are trying to stay hydrated, and healthy. In this post, I’ll try to break it down in the simplest way possible, so that you can make a decision on how you should treat your water. Why treat your water? Water from your tap goes through a series of processes to ensure that it is safe to drink, and tastes as good as possible. The raw stuff from a lake or creek in the backcountry contains a plethora of microorganisms, many of which are harmless and will get digested with the rest of your food. There are a few, however, that will make your life back home very unpleasant if you down enough of them. Bacteria and protozoa make up the major concerns, while viruses are much less common in American backcountry water sources. Filtration versus purification: Filtration and purification render different results when treating water. Unfortunately the terms quite often get used interchangeably. Filtration processes, such as pump or gravity style filters, use a media made up of porous material, or fibers, which catch waterborne bugs. The holes in this material allow for the water to travel through but are too small for most protozoa and bacteria. Viruses are usually small enough to make their way through, and this is where purification comes in handy. When you purify your water, you are killing all life forms that reside in it. Usually purification is done through chemical means, or by heating the water to a boil. Product options for treatment: Pump filters like the MSR Mini Works use a pumping action to draw water through a filter media. Alternatively, the Platypus Cleanstream (pictured in lake above) uses two reservoirs, a filter unit and gravity to filter the water. With no moving parts, you don’t have to worry about a breakdown! Purification options include Potable Aqua iodine tablets, which must be left in the water for at least 30 minutes to kill all viral, bacterial and protozoan life. Iodine does not destroy cryptosporidium cysts, however. These cysts are a phase in the life cycle of protozoa (such as cryptosporidium or giardia) where they have a cell wall that is too tough for iodine to work. The water must be filtered to remove them, or instead treated with a chemical like chlorine dioxide. Katadyn Micropur tablets and Aquamira Water Treatment Drops will destroy cysts with a four-hour treatment, in addition to all other waterborne microorganisms. Other factors to consider: I don’t want to scare you, with all of this talk about unpronounceable organisms like bacteria such as Campylobacter Jejuni. More frequently than not, you’ll be okay consuming untreated water. There are many factors such as location, quantity of water consumed, human traffic, known animal activity, proximity to the water source, stagnation or movement of the water and so on. Just as any risk management situation requires, when consuming water you need to take into account all the facets of each individual water source. If you know that you tend to have stomach issues when eating unusual things, you may decide to always filter; the guy with an iron gut can choose to lap it up from the source. When camping in Yosemite, I am much more concerned about the water I’m drinking, because of the number of people traveling through the area and coming in contact with the water. I have no clue what the guy before me was doing upstream, so I prefer to purify my water. Please note that until now I’ve been covering water sources in the American backcountry. When traveling outside the United States, you may encounter riskier water sources. This is especially true in developing countries. Plus, someone traveling well outside of their homeland has never been exposed to anything remotely similar to the organisms in a foreign area. This makes getting sick much more likely. You must decide, based upon the information you are able to collect, if your situation requires completely pure H20 or if the convenience of not treating outweighs the risk. Kevin is Tahoe Mountain Sports‘ hard goods manager and gear reviewer extraordinaire. He’s often the first face you see in our brick and mortar shop in Kings Beach, California, and one of the friendly voices on our customer service line.